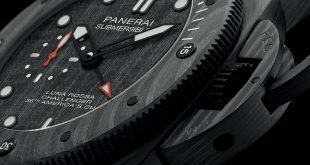 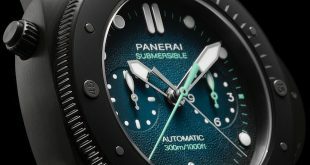 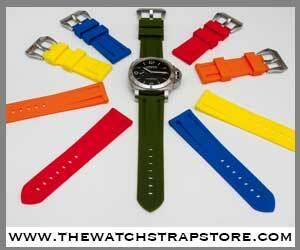 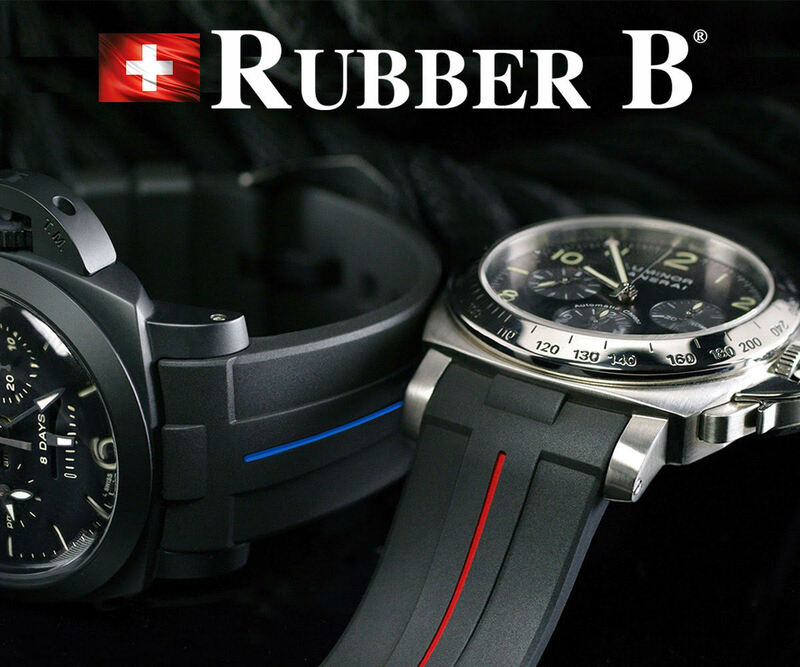 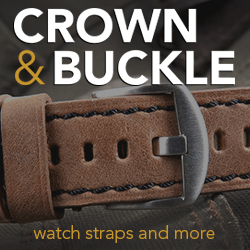 Panerai just sent out a press release detailing their newest addition to the Panerai family. 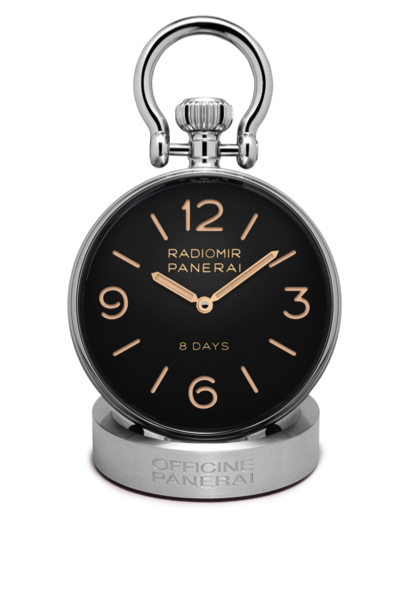 The Panerai PAM581 Table clock, encased in a perfect sphere of mineral glass, is something to truly to behold. 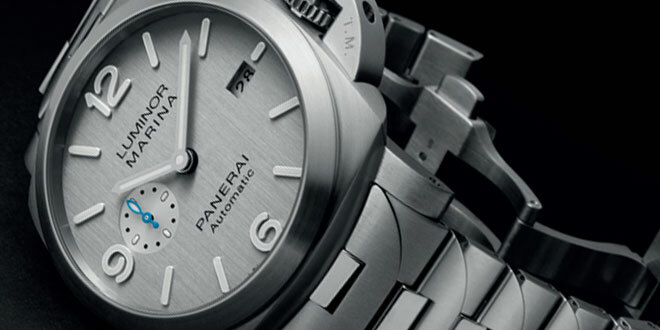 The PAM581 features a P.5000 manufacture movement that can be seen through the clear back of the table clock. 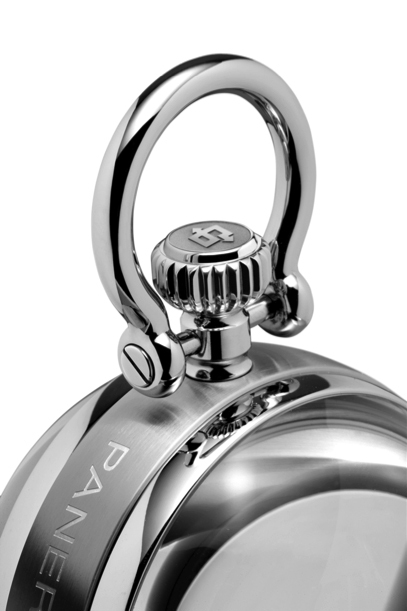 The design of this pieces almost make you believe it has two faces. 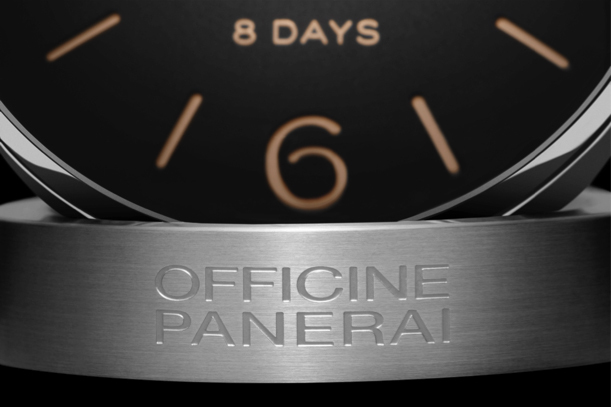 One being the unmistakable Panerai dial, and the second the gorgeous in-house movement. 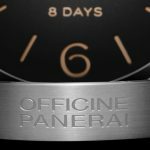 The Panerai table clock is the first timepiece with a mechanical movement that is made by Panerai. 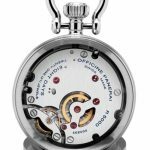 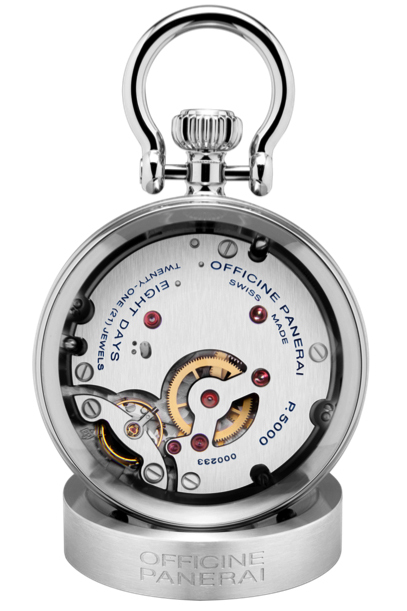 It is a hand wound P.5000 movement with an 8 day power reserve that is historically inspired by the Angelus movement used in their watches from the 1940’s. 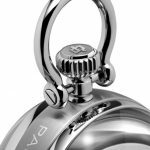 The large winding crown at the 12 o’clock which is enclosed by a stirrup of polished steel bases it’s design on the shackle, which is an accessory very common on sailing yachts which enables the ropes or steel cables to be fixed in a simple but secure way. 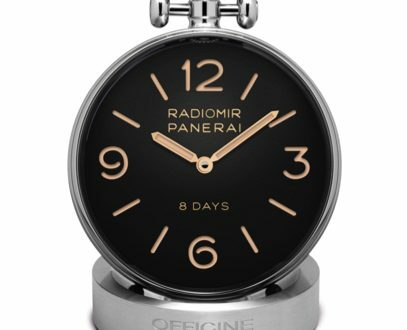 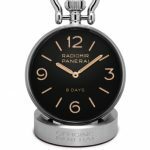 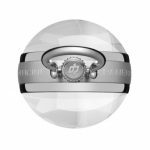 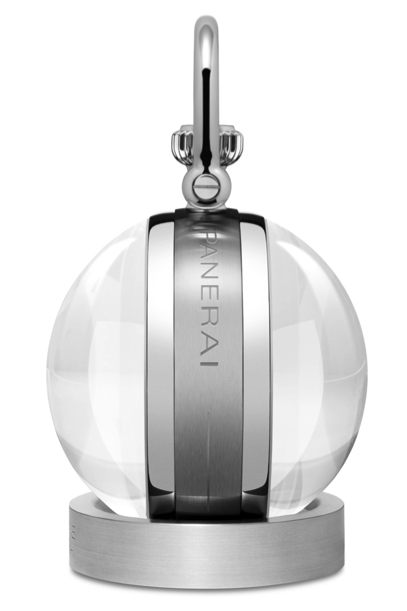 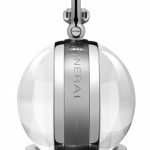 The spherical table clock is securely supported on a round base that is made of brushed steel and engraved with the “Officine Panerai” name. 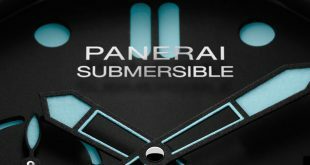 I think the only thing that I could honestly say would be a great addition would have been a power reserve indicator on the dial or back. 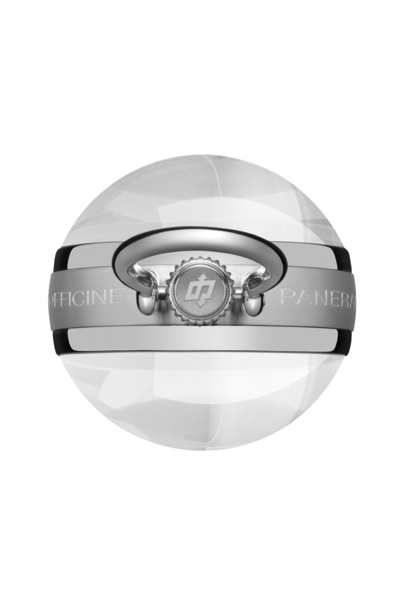 But all in all, they have done a great job with the design of this piece and it will look amazing on a collectors desk.